THE GOG BLOG returns Wednesday afternoon Jan. 2, 2019. Click here to hear an interview with MGD owner Jim McWethy. Mistwood Director of Golf Andy Mickelson (L) 10 year old Lisa Copeland (R) who has been a national finalist at Augusta National in the Drive,Chip and Putt contest. 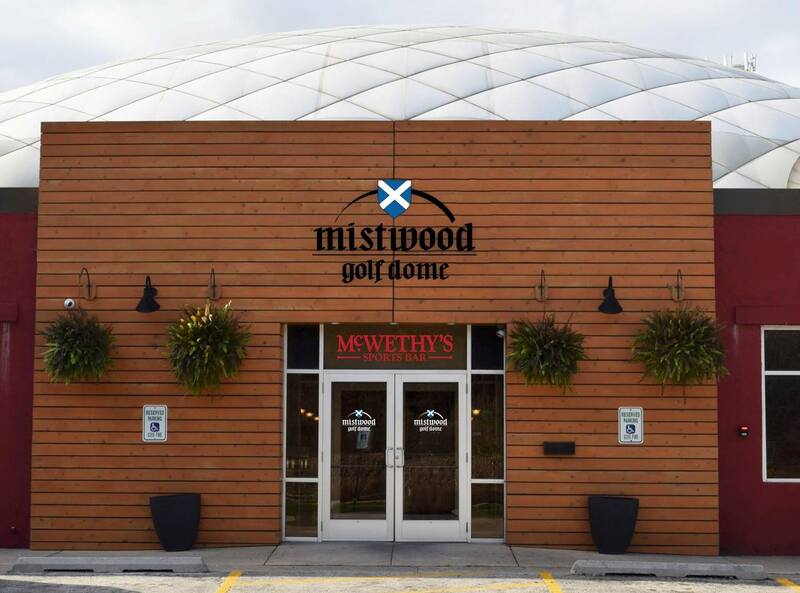 Click here and listen to an interview with Andy Mickelson on the Mistwood Golf Dome. 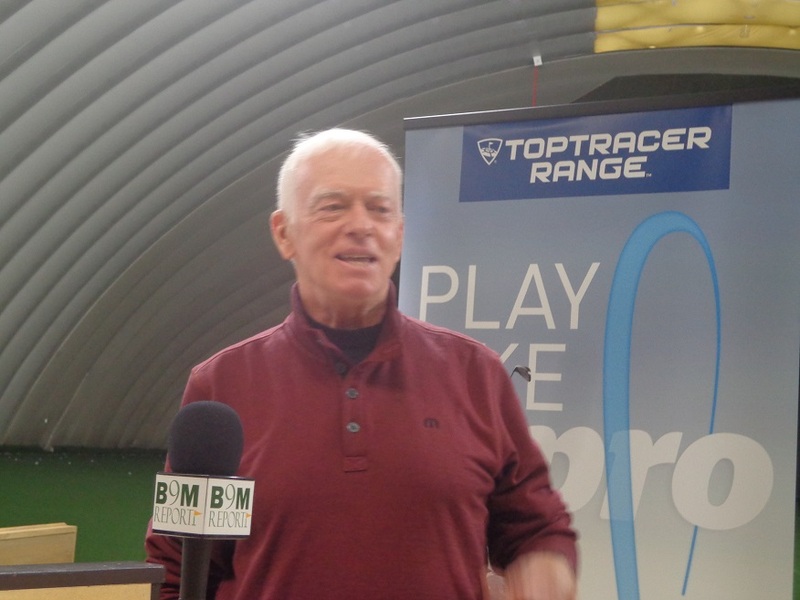 Click here to hear an interview with customer Jeff Copeland (Lisa’s Dad) on why he picks the Mistwood Golf Dome for his and Lisa’s indoor golf experience. 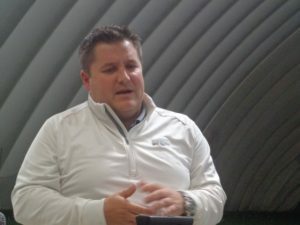 Click here to hear Jay Bauer explains why he chooses the Mistwood Golf Dome. Click here and listen to an interview with Chris Ioriatti on club fitting the Mistwood way. 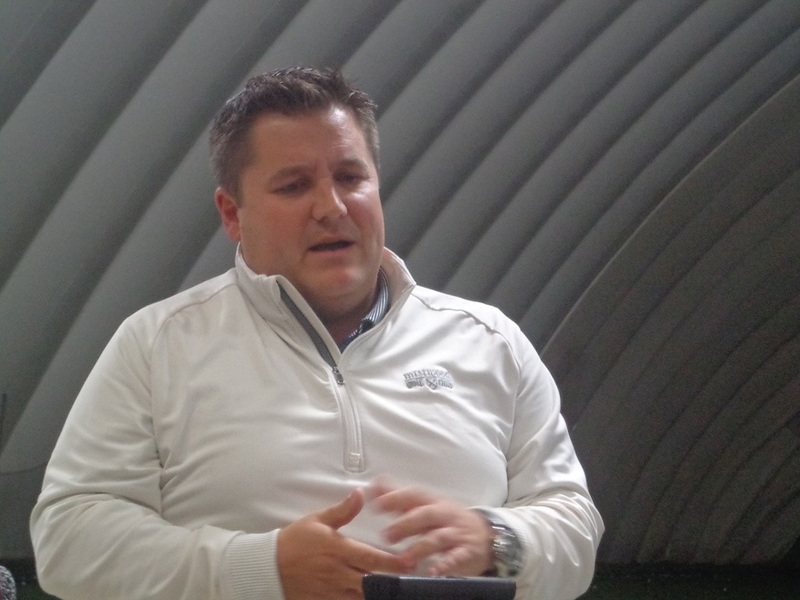 Click on and hear Mistwood Golf pro Dan Phillips talk the Mistwood Golf experience. HAPPY NEW YEAR EVERY ONE-From Golfers on Golf, Ed Stevenson, Bill Berger and Rory Spears. THE MISTWOOD GOLF DOME on Rt. 53 in Bolingbrook is your home for Chicago’s indoor golf season. 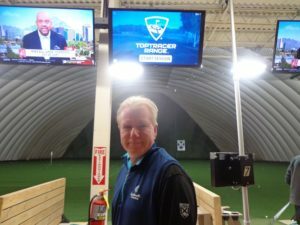 The dome now complete with the new Toptracer technology, has opened the eye of golfers of what you can do during the indoor golf season to improve your game. Owner Jim McWethy (above R) speaks to the improvements of his golf property made for this winter. The dome is open daily until 10 PM except tonight, only 6 PM, and open 9-10 PM on New Years Day. McWethy’s Sportsbar is a great place to see all the action. If you need new clubs, Mistwood is a Top 100 golf fitting location in the country rated by Golf Digest. Mistwoodgolfdome.com or call (630)-739-7600 for details. THE GOG BLOG by RORY SPEARS, Director of Content and Creation. Follow Rory on Twitter @GogBlogGuy, Linkedin and Facebook. On the 18th hole at the Chicago Golf Club in Wheaton. 2018, you went by so fast we hardly knew ya. In the coming days I will talk about what might be ahead in 2019, but for now I’ll putt out on the 18th hole. 2018 started with high hopes for a great year on the golf scene, and in many ways it was. My year had it’s up and downs, which is why I look forward to 2019, a few more birdies or better, and a few more tee-times. I’m hoping to add a few more news clubs in the golf bag. There are a few less tournaments to work in 2019, so there should be more time to visit golf courses and check on courses that I have not played in a while. After the debacle that had three tournaments the same week this past summer, this year there should be no conflicts. It was great covering the 100th PGA Championship at Bellerive, the inuagural U.S. Sr. Women’s Open at Chicago Golf, the Sr. LPGA Championship at the French Lick Resort, the Sr. Players Championship at Exmoor Country Club, the Marquette Invitational at Erin Hills that Northwestern University went up to Wisconsin and won. The Western and Women’s Western Amateur’s, the KPMG Women’s PGA Championship at Kemper Lakes, and the Men’s and Women’s Illinois Opens, the Rust-Oleum Championship. It was difficult missing the John Deere Classicafter so many years in a row of being out in the Quad Cities. I do take pride in playing 22 courses in 2018, that I had never played before. I have now played, 507 different golf courses across the country. It was nice to finally make it into the “500 Club”. Now the trip starts to see if 600 is possible down the road. As far as the courses I played. The best 10 courses of the year were. Chicago Golf Club, Mammoth Dunes at Sand Valley, Erin Hills, Copperhead at Innisbrook, Heron Point at Sea Pines, Streamsong Black, Exmoor Country Club, Wynstone, Tiburon-Black in Naples, The Club at Porto-Cima (Lake in the Ozarks). The Sandbox at Sand Valley and the Cradle at Pinehurst, were the best par-3 courses. 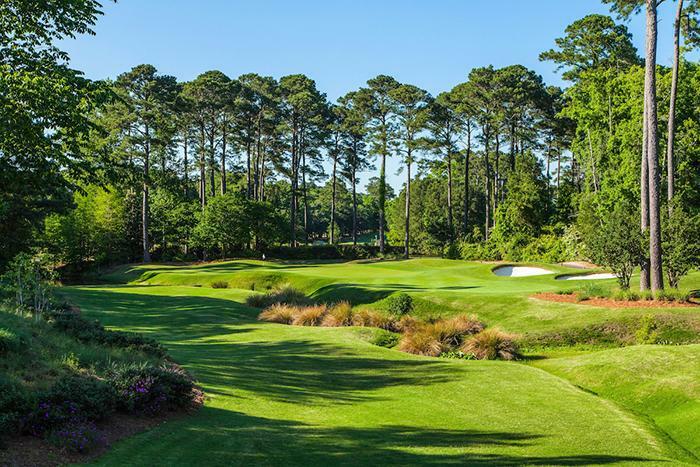 I must add that I really enjoyed the renovated Medinah No.2 course, and the George Fazio course at Palmetto Dunes Resort on Hilton Head, that finally reopened from hurricane damage and a bunker project. The renovated (Pete) Dye and Wanamaker Courses at PGA Village in Florida were both good. The newly renovated Players Nine at the Schaumburg Golf Club is very good, if your looking for a nine-hole round. When it comes to new courses in 2018, Mammoth Dunes edges out Streamsong Black and Sage Run in Michigans U-P. But all three courses should be added to every golfers must play list. On behalf of myself, my Golfers on Golf partners Ed Stevenson and Bill Berger, we would like to thank every one of our sponsors for 2018. Mistwood and the Mistwood Golf Dome, the French Lick Resort, the Schaumburg Golf Club, Erin Hills Golf Club, Mt. Prospect Golf Club, Arlington Lakes Golf Club, Arrowhead Golf Club, the PGA of America and the Women’s PGA Championship, plus DuPage Golf. 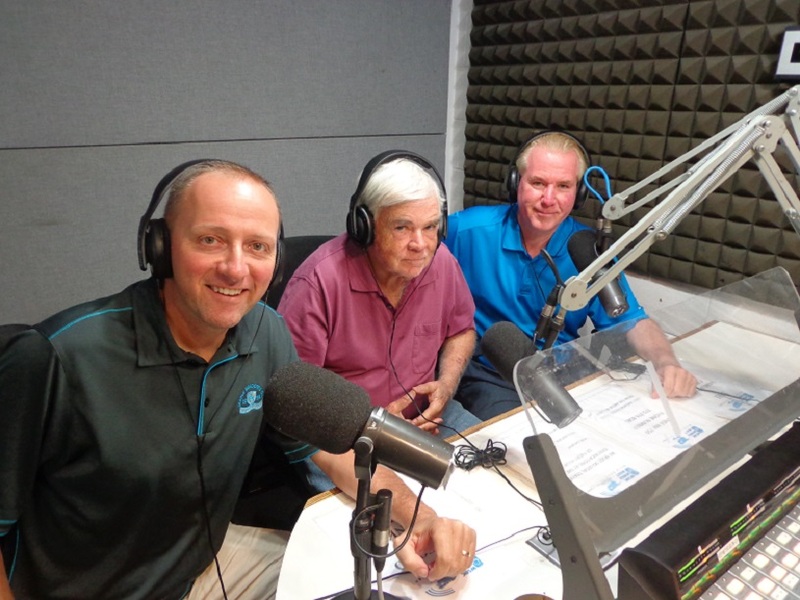 A special thanks to the radio show co-hosts who came to our WNDZ studios to be a part of the show. The Green Street Grille and Jakes Pizza on Grand in Franklin Park, and our print partner Chicagoland Golf. If you would like to be a Golfers on Golf sponsor in 2019, please contact me through our website, golfersongolf.com, or through my social media pages on Linkedin, Twitter or Facebook. THE GOG BLOG by RORY SPEARS, Director of Content and Creation. Follow Rory on Twitter @GogBlogGuy, Linkedin and Facebook. At the second favorite course I played in 2018, Hint it’s in Wisconsin. As 2018 comes to a close, here is one more Sunday Morning Short Game to close out the year. First on the tee from the Mistwood Golf Dome in Bolingbrook, was the great live segment done on ABC 7 yesterday morning with Director of Golf Andy Mickelson. If you missed it, it can be seen on line or through Channel 7’s website. It was amazing how on a cold morning with some slick roads that created a bunch of cars in the ditches, how many people were at the Mistwood Golf Dome at 9:20 in the morning. By 10:30 the place was packed and all the hitting bays were full of golfers. Hopefully a few of them got lessons or ordered new clubs. Both are a great idea this time of year. 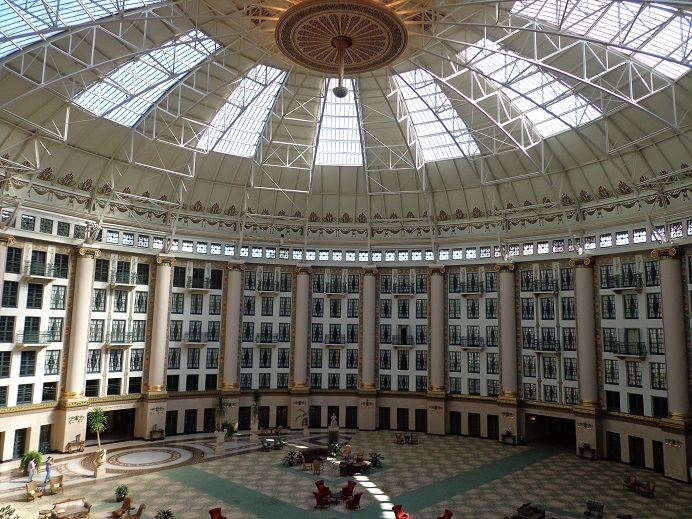 The French Lick Resort in French Lick Indiana, is having a New Year’s eve party in the dome, that includes a four course meal, and champagne at the stroke of Midnight. If your New Year’s eve celebrations have been lacking in recent years, why not enjoy the start of 2019 in fine fashion in one of the wonders of the world. 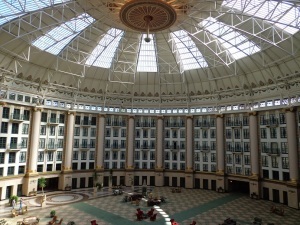 The West Baden “Dome Hotel” that is part of the French Lick Resort. See Frenchlick.com for details. The 11th hole at the Caledonia Golf and Fish Club. The Caledonia Golf and Fish Club of the nation’s Top 100 golf courses, will start the new year, with a celebration of it’s 25th birthday. On every Tuesday during the month of January, green fees at Caledonia that opened for business in 1994, will be only $59 dollars. This price includes taxes, cart fees, GPS and a special anniversary gift. Need more, okay how about $2.50 domestic beers, $2.50 hot dogs, throwback specials in the Grillroom and in the Pro Shop. Golfers you can book your round online at the CaledoniaGolfandFishClub.com or by calling (843)-237-3675. The Mike Strantz design is 29th on on Golf Magazine’s list of Top 100 Courses You Can Play. Golf Digest has Caledonia 85th on it’s America’s Greatest Public Courses. The course plays through what was once a rice plantation that has live oak trees drapped in a Spanish Moss. SUPERBOWL SUNDAY Feb. 3rd, 2019 The First Tee of Greater Chicagoland is hosting a fundraiser at the Valley Lodge Restaurant on Waukegan Road in Glenview. Doors open at 3 PM, and runs until the conclusion of the game. Cost is $35 for snacks and a buffet, but does not include alcohol, which is sold seperately. Sign up now online at firstteeofgreaterchicago.org. Golfers on Golf has learned that Club Champion one of the leading clubfitters in the country, will open a new location on Golf Road in Schaumburg, during the month of January. More details within the week ahead. A wrap up of 2018 tomorrow, thanks for reading. RS. 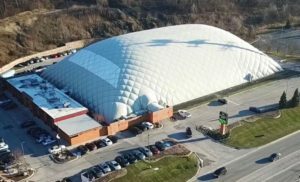 THE MISTWOOD GOLF DOME on Rt. 53 in Bolingbrook, is the perfect place this weekend for golf and sports. 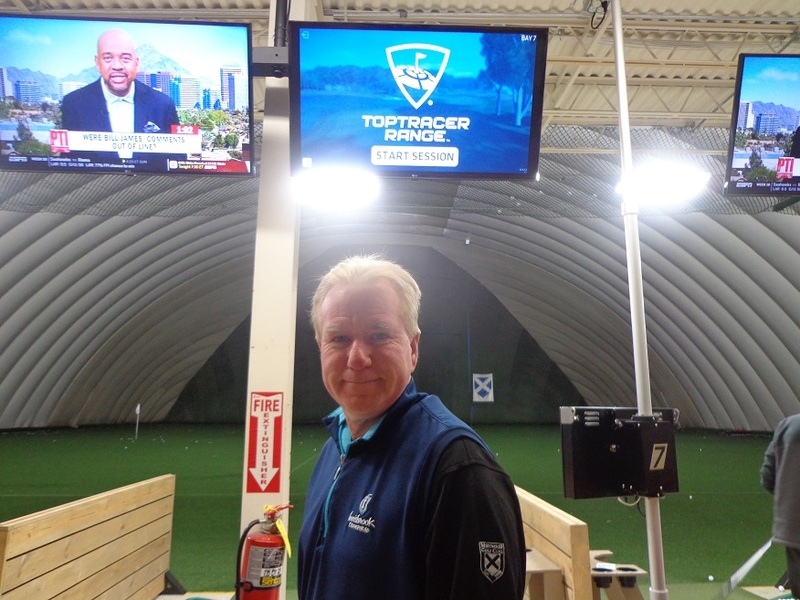 Close out the year working inside with the newly installed Toptracer technology. The upgraded McWethy’s Sportsbar has even more big screen TV’s for you to catch all the NCAA and NFL action, along with NHL and Winter Classic action on New Years Day. 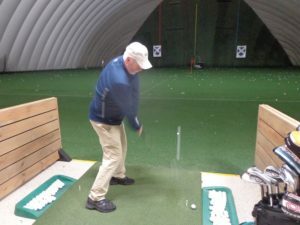 The Mistwood Golf Dome is now open daily until 10 PM, and for details on the dome, lessons and club fitting specials, see Mistwoodgolfdome.com. THE GOG BLOG by RORY SPEARS, Director of Content and Creation. Follow Rory on Twitter @GogBlogGuy, Linkedin and Facebook. On the Pete Dye Course at the French Lick Resort, Happy 93rd Birthday Pete. THE 2020 BMW CHAMPIONSHIP will be played at the Olympia Fields Country Club. News of the championships 2020 location broke last weekend on several media outlets, including right here at Golfersongolf.com. But this week the WGA made the formal announcement . The BMW formerly known as the Western Open, saw the Western Open be played at Olympia Fields five times, most recently in 1971 when Bruce Crampton took home the trophy and the first place check. The greatest golfer of all-time Jack Nicklaus won in 1968, when the Western Open returned to OFCC after a 35 year absence. Olympia Fields Country Club has a strong history of championship tradition in both professional and amateur golf. In 2017 Danielle Kang won the KPMG Women’s Championship, and in 2015 Bryson DeChambeau won the U.S. Amateur Championship. 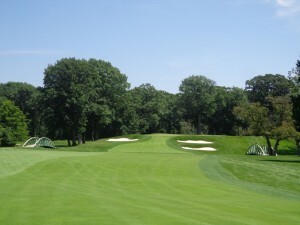 The last U.S. Open played in the Chicago area, was held at Olympia Fields in 2003. WGA Sr. VP of Tournaments Vince Pellegrino, talks about the BMW Championship. “Olympia Fields holds an important and unique place in the history of the Western Golf Association and of golf in America,” said Vince Pellegrino, WGA senior vice president of tournaments. The championship in 2020, will still have a field of 70 players, and is the main fundraiser for the Evans Scholars Foundation that has provided full tuition and housing scholarships to more than 11,500 deserving caddies nationwide since 1930. The excitement of the championship golf returning to the south suburbs is shared by the board and membership at Olympia Fields. Olympia Fields has had 174 caddies receive the Evans Scholarship, with Don Dahlke being the first in 1954, and six caddies are current Evans Scholars. The North Course record of 63, is shared by current professionals Rickie Fowler and Vijay Singh. For more infomration on the WGA and it’s championships, please visit wgaesf.org. 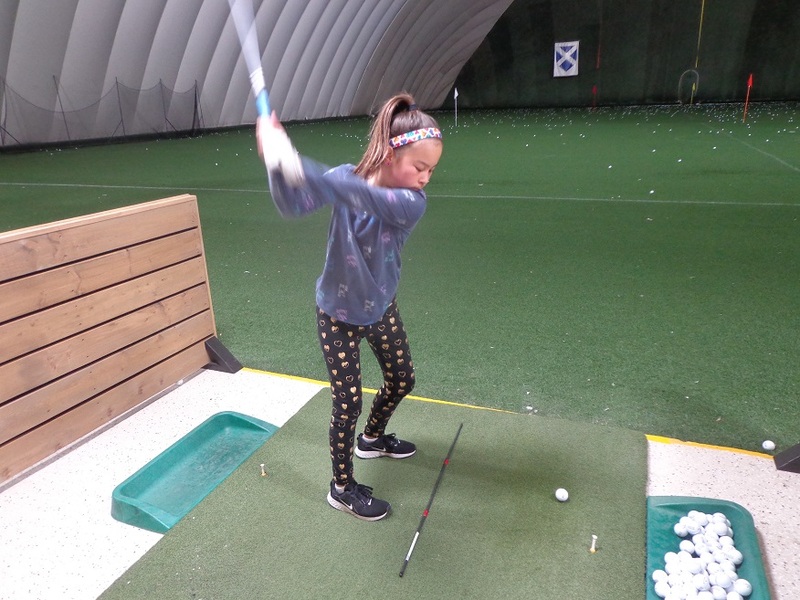 10 Year-old Lisa Copeland practices in the Mistwood Golf Dome. Copeland who had her introduction to golf at the age of 5, under the watchful eye of the Mistwood Professional Golf Staff. One year ago Lisa advanced to the finals of Drive, Chip and Putt, and she earned the right to compete at Augusta National Golf Club. While on holiday break, have you throught about taking your junior golfer out to the Mistwood Golf Dome. Let them check out thenew Toptracer technology and have a blast. Afterwards enjoy some great food and beverage in McWethy’s Sports Bar, or play the ponies in the OTB for even more gaming action. The dome is now open until 10 PM daily. 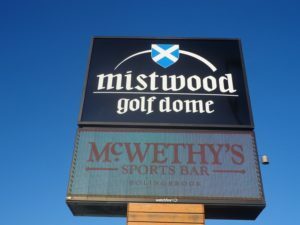 The Mistwood golf Dome is located on Rt. 53 in Bolingbrook. 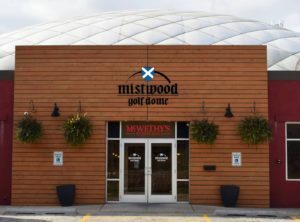 Mistwoodgolfdome.com or (630)-739-7600. Charlie Rymer is ready for golf in Myrtle Beach. 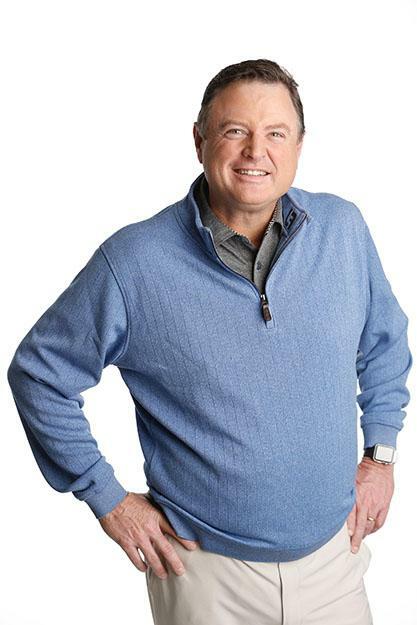 Charlie Rymer who has been part of The Golf Channel for 11 years, has joined the Golf Soluations Team in a multi-media partnership that will make him the voice of the Myrtle Beach Golf Scene. Golf Tourism Solutions (GTS) is a business that has the strength of a full-time media outlet. GTS has a large email database, a print magazine and a social media following of over 200,000. 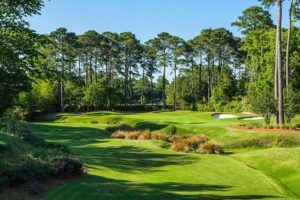 GTS operates PlayGolfMyrtleBeach.com a website that helps golfers plan for golf trips to the Grand Strand. 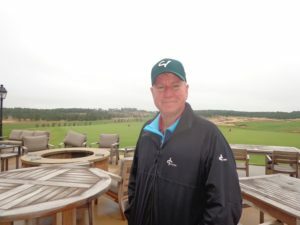 Rymer is a South Carolina Golf Hall of Fame inductee, will also work with Project Golf, the GTS-founded non-profit that works to grow the sport of golf in a variety of ways. For more details visit PlayGolfMyrtleBeach.com. The Gog Blog is written by Rory Spears, Director of Content and Creation. Follow Rory on Twitter @GogBlogGuy, and on Linkedin or Facebook. THE GOG BLOG by RORY SPEARS, Director of Content and Creation, Follow Rory on Twitter @GogBlogGuy, Linkedin and Facebook. Lights, Camera. Action it’s the Mistwood Golf Dome. 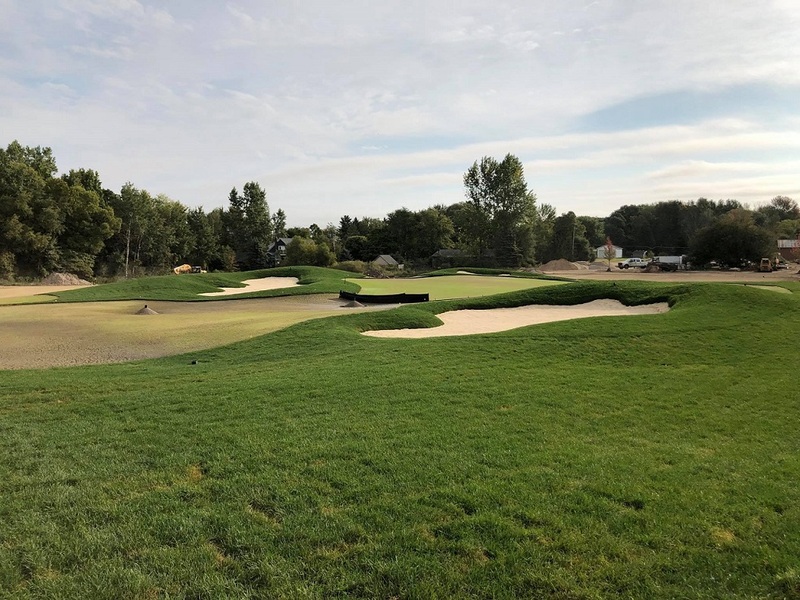 RAY HEARN the Holland Michigan based golf architect, has received his fourth ASGCA (American Society of Golf Course Architects) award in the last six years. 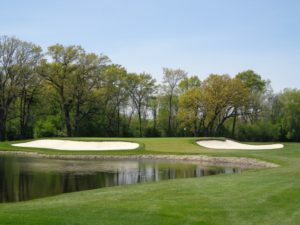 Hearn Golf Course Design’s most recent award, comes from his improvements to the Water’s Edge Golf Course, located in Fremont Michigan. Hearn, the only ASGCA member who is an (WGA) Evans Scholar, is well known in the Chicago area, for his award winning work at both Mistwood Golf Club in Romeoville, and his renovation of Flossmoor Country Club in the south suburbs of Chicago. 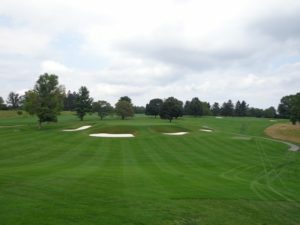 During the 22 years of Hearn Golf Course Design, the company has been involved in new construction, or course renovations at over 150 golf facilities. Hearn’s work at Waters Edge called for the creation of a new par 4 and a new par 3 hole, on a 63 year old public golf course. In addition, Hearn is building a new state-of-the-art training facility. The facility is comprised of a range with new target greens and fairways. There will be chipping and putting practice area’s that include, bunkers for both greenside and fairway practice. Ray Hearns plan for Waters Edge via Hearns website. 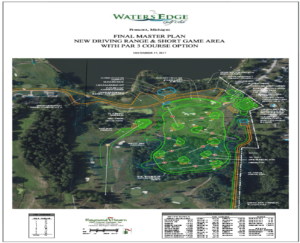 Hearn says that Waters Edge ownership is considering a performance training center building on the back of the practice center teeing area. Hearns says the goal was to create holes that appear to have been there forever, and help recruit new golfers to come play the course that is 45 miles northwest of Grand Rapids. 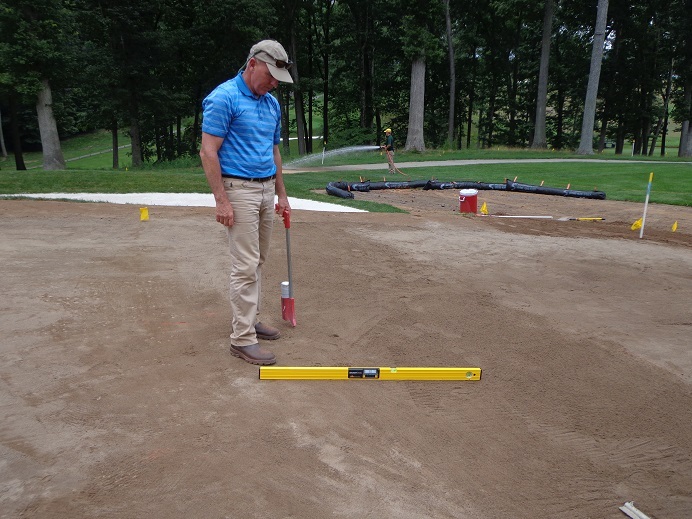 New construction by Ray Hearn at Waters Edge golf course in Michigan. 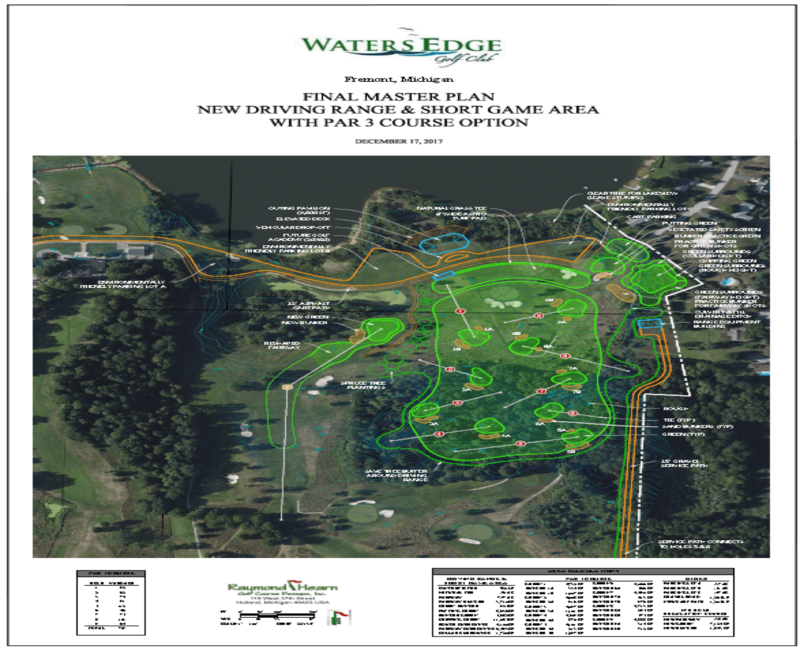 The new holes at Waters Edge will open in May of 2019, with the new practice area that is still under contraction opening in late fall, with a soft opening tenatively planned. Hearn’s other ASGCA Awards have come in 2017 for his work on Golf de Club de Panama in Panama City, the renovation of his original design at Mistwood Golf Club in Romeoville Illinois, and the renovation of his own design at Island Hills Golf Club in Centreville Michigan. You can learn more about Ray Hearn and golf course design work at rhgd.com. 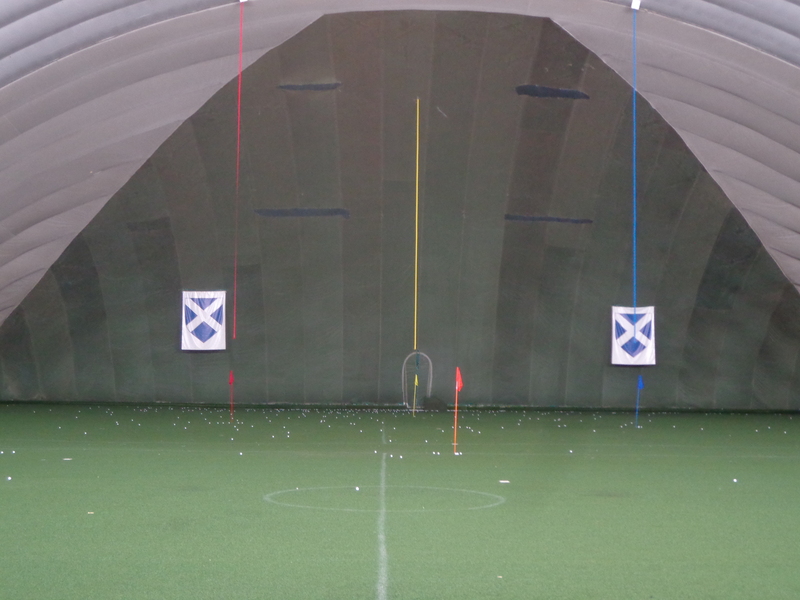 THE MISTWOOD GOLF DOME back open today until 10 PM. Did you get new clubs, for Christmas, if so come test them out at the Chicagoland area’s premier golf dome. Do you need a fitting for new clubs, which is the best way to buy them. Mistwood golf club and the Mistwood Golf Dome have been rated a TOP 100 in the country fitting location. Mistwood will take your old clubs, and give you credit on buying new ones. Come to the dome and see Eric Russel and Chris Ioriatti (Above L with Dan Phillips R) and get fitted into the new clubs that will have you enjoying the game more, lowering your handicap, and beating your friends on the side bets. 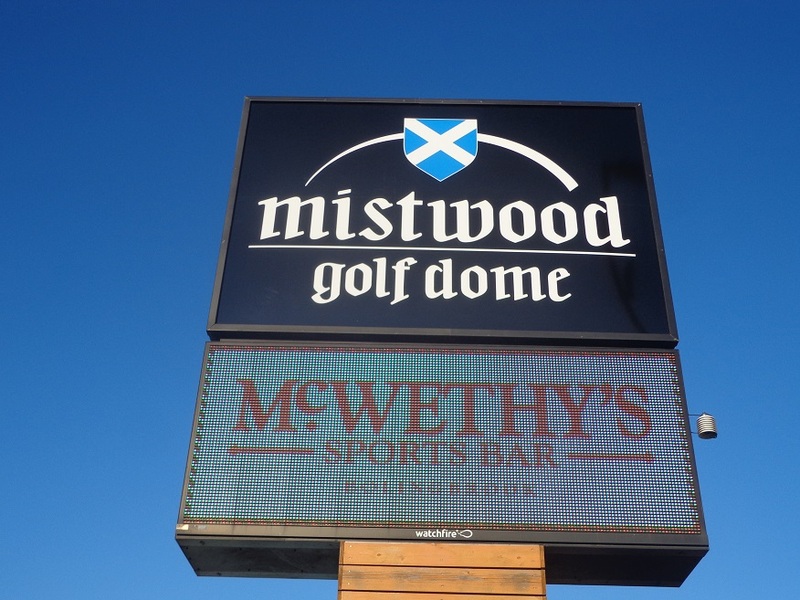 McWethy’s Sports bar is part of the dome, and has redone it’s menu and added even more big screen TV’s for you to see all the action, while you enjoy your food and beverage. When the first of the year starts, it will be only 4 months until the Kentucky Derby, so go into the OTB, and start learning who this years top Triple Crown picks are. 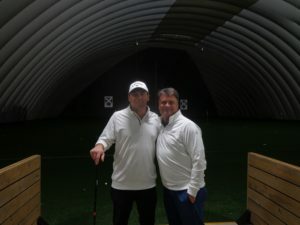 Mistwoodgolfdome.com or call (630)-739-7600. THE GOG BLOG by RORY SPEARS, Director of Content and Creation. Follow Rory on Twitter @GogBlogGuy, Linkedin and Facebook. 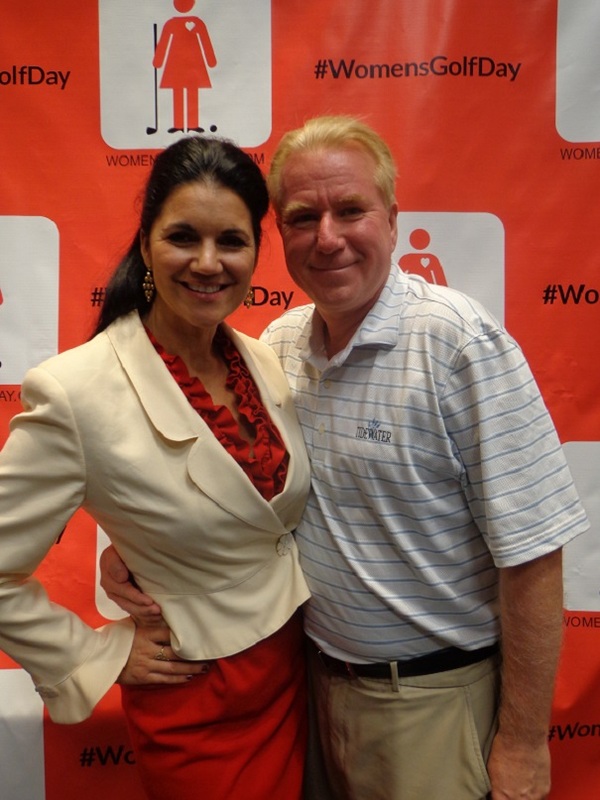 With Women’s Golf Day Founder Elisa Gaudet. IT’S BACK for the fourth straight year. 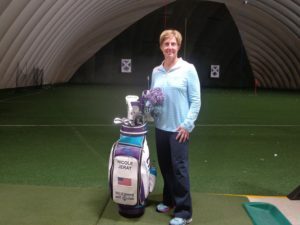 The 2019 Women’s Golf Day created by founder Elisa Gaudet will be hosted around the globe on June 4th, 2019. 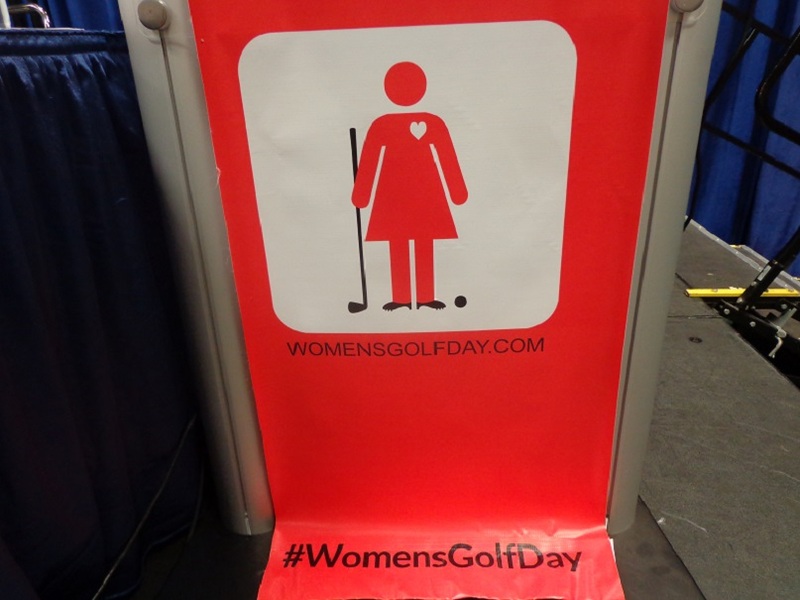 First held in 2016, Women’s Golf Day is held at over 900 golf facilities in 52 countries around the world. Right now for FREE, through February 28th, you can sing up your location tohost an event on June 4th. When you sign up to be a WGD location, here is what you receive. Placement on the homepage of Womensgolfday.com for a minimum of 12 months. The opportunity to have a profile page on the website, you can edit. A digitial marketing toolkit that includes social media, posters, graphics and more once your registered. THE SIGN OF WOMEN’S GOLF DAY. Multimedia coverage, that includes TV, magazines, websites and more. Access to golf-industry offers and opportunites such a s seminars, and webcasts. Give potential new customers in your area the perfect way to take up the game of golf. Other benefits include discounted merchandise and more. Your facility will be recognized as an official participant in a growing movement to get women to take up golf, and learn the best sport in the world, a sport than can be played for a lifetime. #WGDinspires See womensgolfday.com. 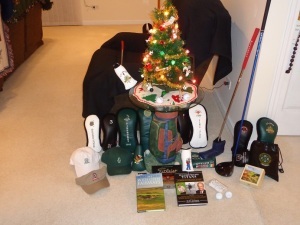 MERRY CHRISTMAS from all of us at Golfers on Golf. We hope your Christmas is a great one, and Santa brings you some golf goodies for the season ahead in 2019. Is your tree up, and ready for tomorrows big day, here’s hoping it is, and that like us, not behind on the holiday greeting cards. It’s been a busy week leading into Christmas day, and much of the news centers around the Western Golf Association and it’s new offices going up in The Glen, of Glenview. Then the WGA and Olympia Fields Country Club announced that OFCC, has the 2020 PGA Tour-WGA event to played on the clubs North Course. Sadly, the club announced yesterday that it cut ties with architect Keith Foster, who was scheduled to renovate both of the clubs courses over the next 2-4 years. That due to Fosters legals issues with the U.S. Government. If you have missed all the news the last few days, scroll down to our recent posts and get caught up. Christmas time around the tree. BIG 3 partner Len Ziehm has posted a Florida and the Floirda PGA update on his site, Lenziehmongolf.com. While some of the PGA of America staff will move to Texas in 3 years, the PGA will still have quite a presence in Florida. More on Florida golf with Len. MORE NEWS on Olympia Fields can be found at Tim Cronin’s Illinois Golfer at Illinoisgolfer.net. 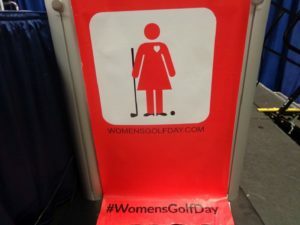 MARK YOUR CALENDARS-LADIES, as Women’s Golf Day in 2019 will be June 4th. If you get a gift card or money to get new clubs for Christmas, make sure you check out the Mistwood Golf Dome, for fittings, trade in your old clubs credit special, and prices on new clubs, through Feb. 28th, before you go anywhere else. With that, a Merry Christmas to everyone, and the Gog Blog Returns Wednesday Afternoon, December 26th. RS. THE GOG BLOG by RORY SPEARS, Director of Content and Creation. Follow Rory on Twitter @GogBlogGuy, Linkedin and Facebook. 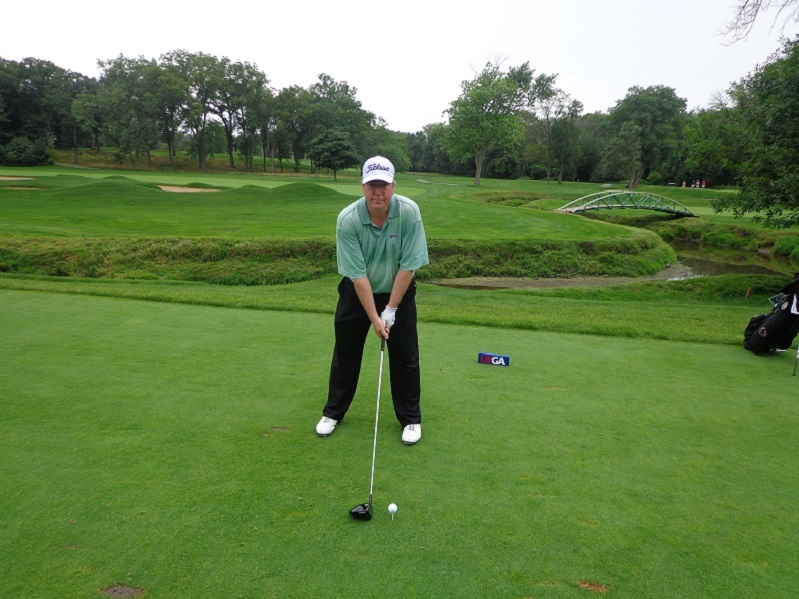 Teeing it up on the Olympia Fields South Course. THE OLYMPIA FIELDS Country Club has informed it’s membership that the club has been awarded the 2020 PGA Tour-Western Golf Association (WGA) event. 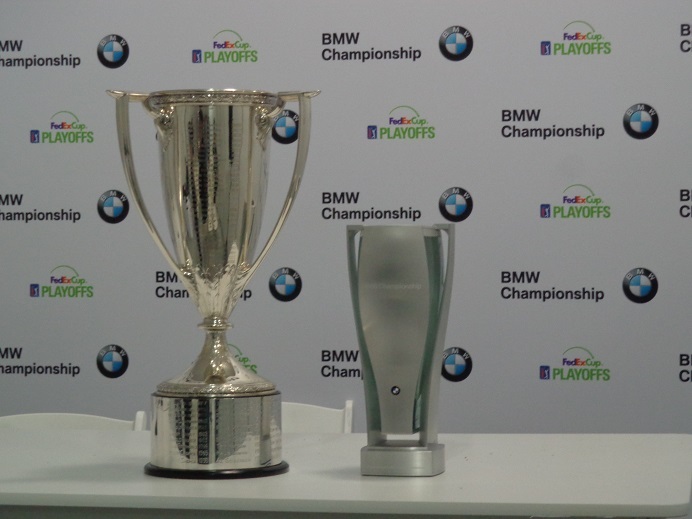 The championship will be identified for the time being, as the 2020 BMW Championship, while the tournament is still under contract with BMW, through the end of the 2019 championship that will be played in August at Medinah Country Club. 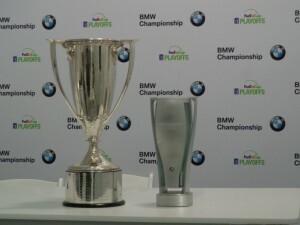 There have been rumors that BMW will leave the tournament at the end of the 2019 championship. BMW in recent years has voiced it’s position to not play at clubs on the southside of the Chicago area, feeling it’s market and majority of the buyers who buy BMW vehicles are located in Chicago’s Northshore area. That position on BMW’s part, made Conway Farms in Lake Forest, a perfect location in 2013-2015 and 2017 to host the championship. The famed par 4, third hole on Olympia Fields North Course, that would be the site of the championship. One WGA official made it clear this past summer that returning to the southside and Olympia Fields would be a great idea. But that idea would likely happen, only if BMW left as sponsor. 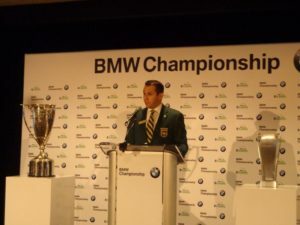 New BMW North America leader Bernhard Kuhnt is believed to be thinking a move away from golf, to promote BMW going forward, while previous chief Ludwig Willisch was a supporter of golf. 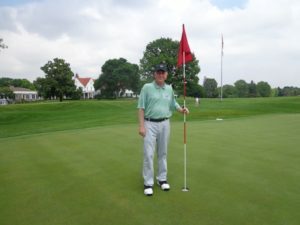 Talks between Olympia Fields and the Western Open and the PGA Tour have been on-going for the last 18 months, said new Olympia Fields Club President Joe Tapajna (who spoke only with Tim Cronin of the Illinois Golfer/Illinoisgolfer.net). The announcement to it’s membership said the club would host the championship in terms of both financial benefit, and to expose the club to a big audience on national television. According to history provided by the Illinois Golfer, this would be the 6th Western Open/BMWChampionship or new sponsor? at Olympia Fields. The last championship was the 1971 championship won by Bruce Crampton. Jack Nicklaus won the tournament at OFCC in 1968. 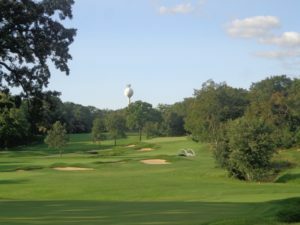 For more information on Olympia Fields championship history, and it’s history with the Western Golf Association, see the story at Illinoisgolfer.net. Very rarely is there a story I don’t look forward to writing on this site, but this is one of those times. The last time this happened was a few years ago, when I arrived at Day 1 of the convention center at the PGA Merchandise Show in Orlando, and learned that sports and golf media writer from the Daily Herald Mike Spellman, a good friend, had been found dead in his home. That hit me like a ton of bricks, like the following story about golf architect Keith Foster. 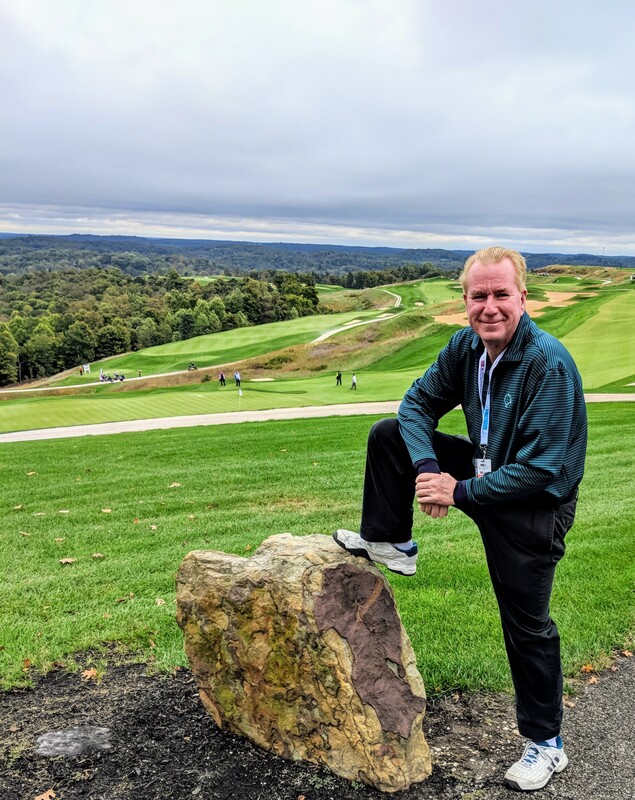 This is me standing in the 18th fairway on the Wissahickon Course at the Philadelphia Country Club, renovated by Foster. I had just hit a poor approach shot into the green, and wasted my 302 yard drive down the center of the fairway. I received an email on Wednesday night from a newspaper editor in Virginia, asking to use a photo from this website of Foster. I assumed it was because they were doing a story on Foster about the renovation work he is doing at Congressional Country Club. The editor then informed me that Foster was in “hot-water” and was facing 5 years in a federal jail, and then forwarded the press release from the Department of Justice (DOJ). A jaw-dopping moment then occured. I’ve known Foster since he was at the grand opening at my former club, Shepherd’s Crook in Zion, that Foster designed in the late 1990’s. Foster made a quick impression on me when he showed up in a cart on the 6th tee box, introducted himself and said he would inform our group on how to play the hole. At that point I suggested he show us how to play the hole, and handed him my driver, with my golfball already tee’d up. Foster lined up with my right-handed driver, and said “this doesn’t look right”, with that he stepped to the lefthanded side of the ball, inverted the driver face and crushed one about 280 down the center of the fairway. Applause all-around, as Foster said,” that’s how you play the hole.” I didn’t know he was left-handed. Keith Foster sits in his antique store the Outpost, now closed. When Foster and I next crossed paths, it was at Southern Hills CC, home of the 2001 U.S. Open on media day. He had renovated the course and was discussing the course improvements with the national media. I had questions about the design at Shepherd’s Crook, so we had lunch together that day and got caught up on golf. Shortly afterwards I was the first reporter who contacted Foster about his work at Colonial Country Club, when Annika Sorenstam was going to play in the PGA Tour event there. I ran the interview and later the Chicago Sun-Times called me asking to use his quotes, where he predicted Sorenstam would miss the cut by 2-4 shots. She missed the cut by 3 shots. As Fosters work list continued to grow, I would visit his courses around the country when I traveled. 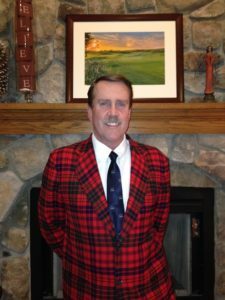 I have played over 20 Keith Foster original designs, renovated golf courses, and courses he is scheduled to work on, all of them are very well done. I have greatly enjoyed every Foster golf course I have ever played. 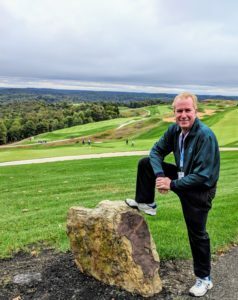 In fact, one PGA Tour caddie, who works for a major championship winner, and has caddied all over the world on every continent, said he has seen courses designed by every known designer in the game. The caddie told me that there is not a better bunker guy, in golf course architecture than Keith Foster. I agree 100% with that. 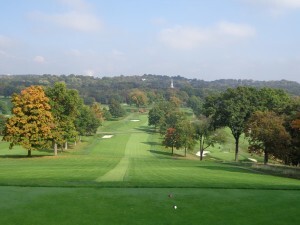 The Pittsburgh Field Club, first hole. In fact, when I rated courses for a national publication, I often suggested that other raters come for a visit and see the great work he was doing. As a result, some courses got more rater visits, and jumped up higher in the Top 100, or even made it into Top 100 lists. When I last looked, Foster had some 11 courses he had worked on, on one Top 100 list. Whether you played one of the classic course restorations he did, or some of the new construction course he designed, you played some pretty good golf courses. (L) The 18th hole at Sands Point on Long Island, (R) The par 3,12th hole at The Knollwood Club in Lake Forest Illinois, are both Foster renovations. The South Course at Olympia Fields (L), and the par 3, 4th hole at Baltimore Country Club (R). Baltimore CC was a recent Foster project, and OFCC South is an upcoming scheduled project. Fosters work in Illinois really started at Shepherd’s Crook, it continued in Elgin with the first phase of the Highlands of Elgin, that was finished years later by Foster’s former assistant Art Schaupeter. Highlands of Elgin is a Top 10 Municipal Course on Golfweeks Top 50 list. 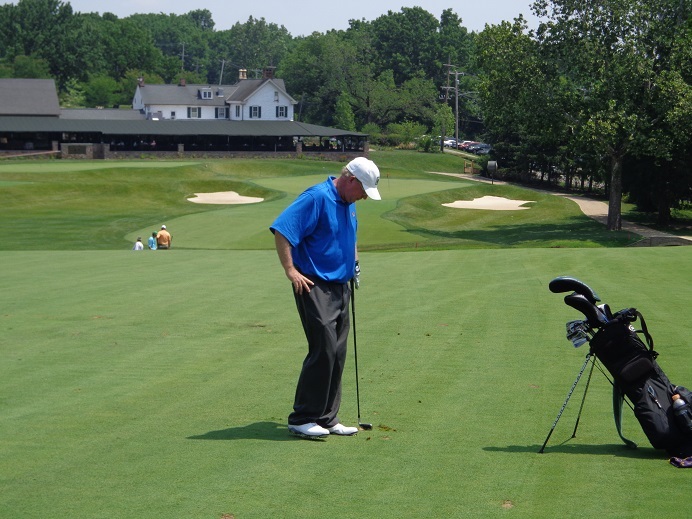 Foster returned to renovate the Knollwood Club in Lake Forest. Foster convinced the club to go with the now popular white “tour edge” pro-angle sand, almost before any club in area was using it. After the Illinois PGA held a section event at Knollwood, the pro’s left calling Knollwood “Mini-Augusta”, and went back to their clubs suggesting that white sand could be the way to go. If your now enjoying the white sand in the bunker craze that’s been sweeping the area, thank Foster. 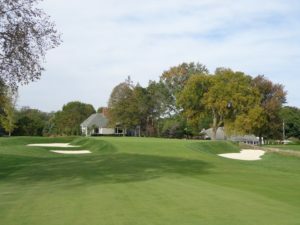 More recently, Foster was just hired this fall by Olympia Fields Country Club to renovate or do restorations on both the North and South Golf Courses (OFCC-just awarded WGA PGA Tour event in 2020 on the North Course). It’s my understanding that Foster would be doing more work on the South Course, and his plan for the South Course is outstanding, and loved by the restoration committee and the clubs board. Now the question is, will he get to do it. I don’t know if Olympia Fields will stick with Foster or not at this point, but here’s hoping they wait until the judge makes his ruling first. Foster has been cooperating with federal authorties and plead guilty in a plea-deal for violating the Lacey Act, of selling and transporting between $250,000 and $500,000 dollars worth or products made from endangered species, and other wildlife. Records of imports of the products were falsified to bring them through customs. A “client” Foster was dealing with, turned out to be an undercover agent wearing “a wire” for the U.S. Fish and Wildlife Service. Foster has forfeited over $275,000 dollars made from sales of the items brought into the country in 2017, and over 100 items were seized by authorities from his store, The Outpost, now closed. No part of his golf design and architecture business is under investiagtion by authorities, or will be. Foster will be sentenced on March 9th, 2019 in federal court in Virginia. How much time he might serve is a good question. Normally in federal cases offenders do not get the maximum time possible, especially first time offenders like Foster. Apparently Foster has been cooporating with authorities all along since being charged, and it’s expected that the judge invovled, will take that into account. Foster invited me on several occasions to come visit him in Virginia to see his design studios, and see the Outpost. I never made it there due to some last minute changes in travel plans during a trip out east. I was disapointed when he told me earlier this year the Outpost was closing due to his golf business, that again was getting extremely busy. The Outpost was active in supporting a variety of area charities in the 6 years it was open. I picked Foster up at O’Hare airport one day in route to a site visit in the area, and we talked as much about the Outpost as we did golf course work. Foster told me stories about the golf antique’s that were for sale, acquired on trips through Scotland, Ireland and other parts of Europe.